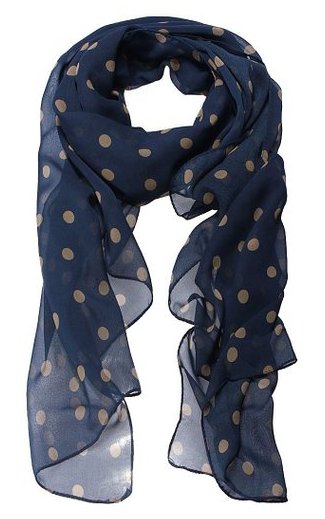 Polka Dot Scarf Only $2.55 + FREE Shipping! You are here: Home / Great Deals / Amazon Deals / Polka Dot Scarf Only $2.55 + FREE Shipping! How pretty is this Polka Dot Scarf ?? And, right now, you can get it for just $2.55 + FREE shipping! This would be perfect for your fall outfits! And, at this price, you could get one for yourself and a few others to use as gifts!